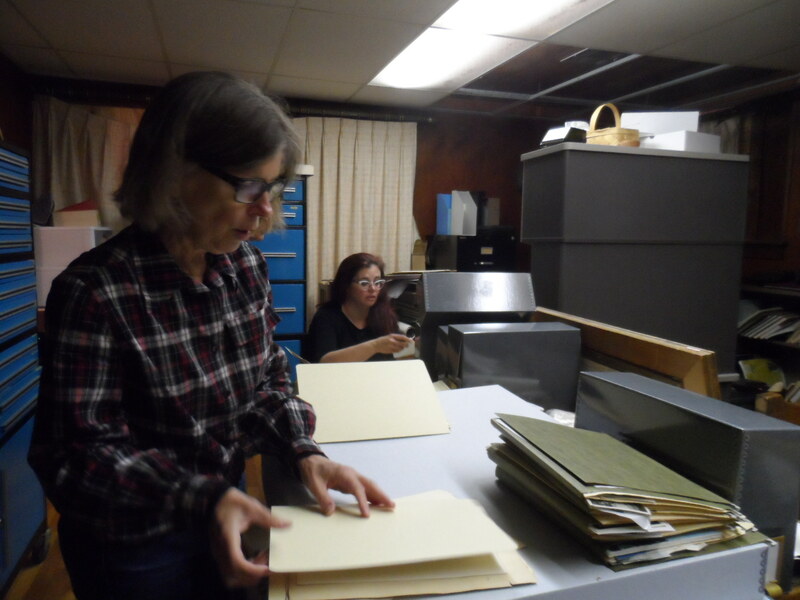 ISchool faculty Rebecca Elder and Karen Pavelka were invited to Bacone College in Muskogee, OK for a conservator's weekend to help care for neglected collections at Bacone's Ataloa Lodge museum. They worked along other invited collections care professionals and library staff, including the Senior VP for Advancement of the college, who showed up in a tee shirt and shorts, ready to help out wherever he was needed. The college is working to improve storage conditions for the collections, and with support from the Association of Tribal Libraries Archives and Museums as well as the Oklahoma Department of Libraries. Elder and Pavelka were recruited because of their knowledge of paper conservation and collections preservation. Other volunteers gave of their expertise in textiles, baskets, beadwork and Native American artifacts. Everyone worked well together, pitching in and adjusting schedules as needed. Working in cramped conditions with inadequate table space and lighting, Elder and Pavelka spent much of their time gently removing documents and photographs that had been wedged into file cabinets, and transferring them into good quality folders and boxes. They emptied five file and storage cabinets and filled 21 standard document boxes. The collections at Bacone are significant to the history of Oklahoma and Native American culture...and it is extremely gratifying to get to contribute to the effort in a tangible way. But some of the work was less routine. Elder made a custom fit box for a small, 19th c. bible that has extreme importance to the collections. While emptying drawers they found a daguerreotype that may be an image of the founder of the college, and made a custom box for that as well. The deed for the college's land, signed by Abraham Lincoln, was framed with poor quality materials and under glass. The poor quality materials can accelerate deterioration and the glass can shatter and cut the document, so Pavelka removed the deed from the frame and stored it safely in a folder in a box. The staff videographer filmed Elder demonstrating how to safely remove mold and Pavelka showing how to flatten rolled documents and how to safely un-frame paper objects. These tutorials will be made available to the community of tribal museums. Elder has been involved with efforts to improve collections care at Bacone for three years, and has written preservation assessments for both the library and the museum. These reports set the stage for the current project. She says "The collections at Bacone are significant to the history of Oklahoma and Native American culture. It has been so exciting to watch the progress that has been made so far on restoring the museum's holdings to the first class research collection that it has potential to be. Even more, it is extremely gratifying to get to contribute to the effort in a tangible way." Pavelka was just happy to have been included. Elder and Pavelka plan to remain involved with the Bacone project as advisors and consultants, providing professional assistance that would otherwise be out of reach of the school. Director of Development Kimberlie Gilliland says "Karen and Rebecca have been so generous with their time and expertise. 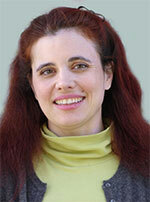 Bacone appreciates their help preserving our collections for the future."